the technique with this one was alot of fun. I did not have Mr. Tims reflections stamps but I still wanted to play with the alcohol ink along with the archival ink and see how that worked together. 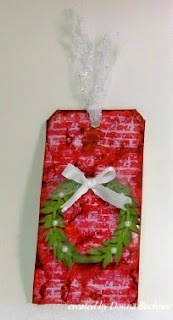 I used a very small "brick" stamp so it did take a few stampings which meant I had to watch how I lined up each stamping. I think it worked great! 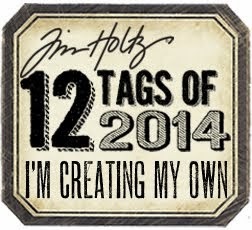 I am off to start on tag 6. I am determined to have them all done by the end of the month. The "brickwork" looks FANTASTIC, Donna! !